MOGADISHU (Caasimada Online)— military says it has carried out drone strike targeting Al-Shabaab group in Somalia, killing at least 4 militants . 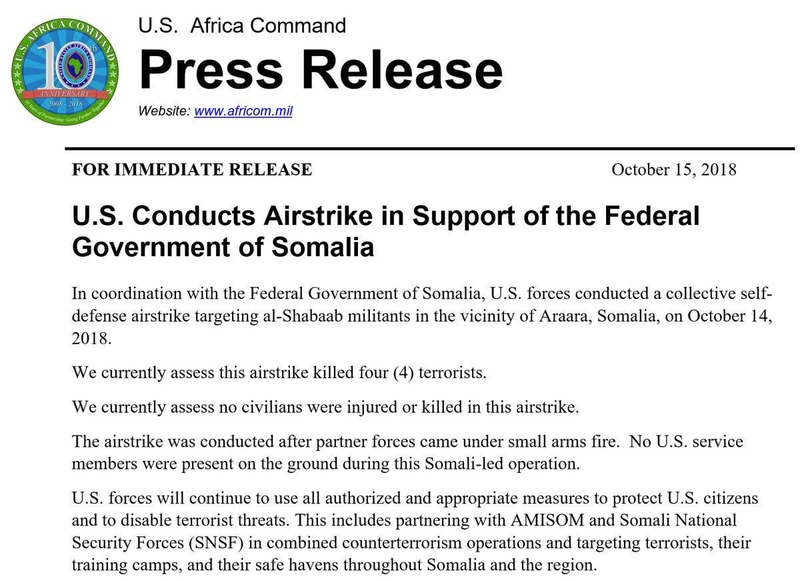 The strike was conducted on Sunday in Arare area, south of Somalia’s Lower Jubba region, said in a statement by U.S. Africa Command. 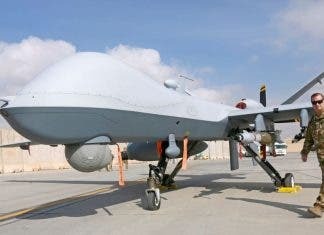 The Command said four Al Qaeda linked Al Shabaab group had been killed in the latest strike in Somalia. Sunday’s airstrike was carried out after Somali troops along with US especial forces came under ambush attack by Al Shabaab. 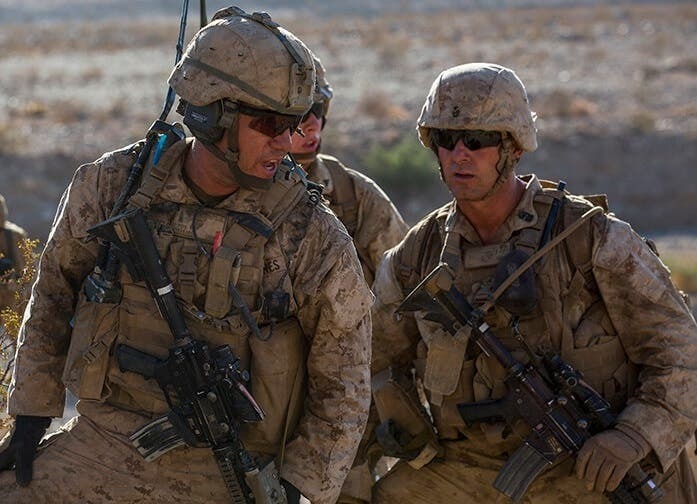 The U.S. military has carried out more than 20 airstrikes, including drone strikes, this year against the al-Qaida-linked al-Shabab, the deadliest Islamic extremist group in sub-Saharan Africa. Last week, U.S. military says it killed nine al Qaeda linked al-Shabab militants in drone airstrike in southern Somalia. The group is fighting to overthrow the internationally backed government of Somalia, but has also carried out attacks in neighboring Kenya.